Daniel Lugo (Mark Wahlberg) is a not so bright penniless bodybuilder with a plan to kidnap a wealthy Miami businessman. For the plan to succeed Lugo needs help and finds it from some equally ‘smart’ weight lifting buddies (Dwanye Johnson and Anthony Mackie). Pain and Gain is a movie directed by Michael Bay (Transformers, Bad Boys) and it reads much like his other glossy high budget work. However there’s something more to Pain and Gain, there’s humour, and there’s something even more unusual for a Bay film – originality. The narrative follows a trio of body builders led by Daniel Lugo who concoct a plan to kidnap a wealthy businessman and take his money. The body builders aren’t particularly smart though and this leads to some ridiculous consequences. That’s part of the charm though and Pain and Gain is a frenetic thrill ride with crazy action sequences. However it’s in the dialogue that the film starts to find its own tone. The pacing is quick and the effect that the scripting has is markedly similar to the Coen Brother’s movie Fargo. The inept nature of criminality is on full display in Pain and Gain and Lugo finds himself increasingly out of his depth and unable to rein in his ‘partners’ vices. It’s not an inherently funny story but it comes across as one. 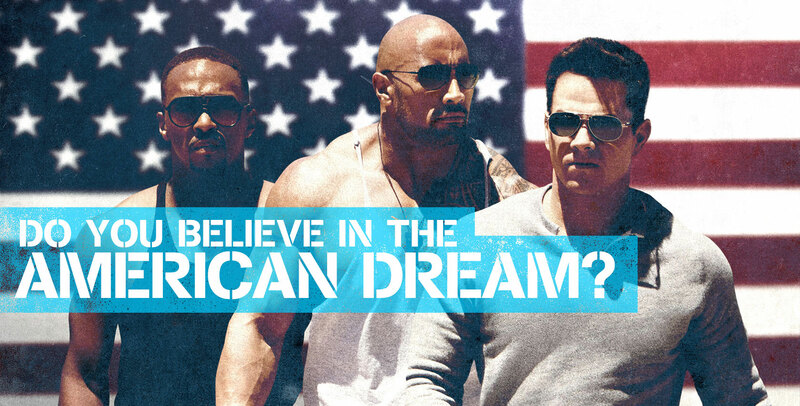 Pain and Gain is based on a series of real life events but to say that the film is a true story is a stretch. Marc Schiller the real life businessman and kidnap victim said that the production team never called him during the making of the movie. But realism doesn’t seem to have been a consideration for Bay or anyone else involved in the making of Pain and Gain. Instead the narrative is loosely based on a series of articles published in The Miami New Times in 1999. Those articles explored the crimes committed by the Sun Gym Gang – a group of body builders with a shared love of working out and making money. Pain and Gain then is not really based on real events. Instead it’s based on a journalists series of writings on the subject and according to Schiller isn’t anything close to a reflection of what really happened. But it’s the movies and fidelity when it comes to adapting a narrative to the screen doesn’t always equate to a great movie. Pain and Gain is an interpretation of something that happened and instead of it being a gritty, dark, and sombre kidnapping tale it comes across as slick, polished, and humourous. The characters however are a different matter and the three kidnappers appear to struggle (even collectively) to do anything intelligent. This completely alters the narrative and makes the act of kidnapping a much less shocking affair. The bodybuilders are inept as kidnappers and even their attempts to kill Schiller are mired in stupidity. But this is what makes Pain and Gain such a fun film to watch – it doesn’t take itself, or anything within the plot too seriously. The acting is good in this movie with Wahlberg doing his usual comic alpha masculine turn. However it’s Dwayne Johnson that really stands out with his childlike teetotal performance as Paul Doyle. The three bodybuilders are dumb and their actions are stupid but they are driven by the desire to better themselves. The rhetoric in Pain and Gain could come straight out of a self help book (it probably did) and the chaos surrounding the trio’s actions is convincing enough. But it’s the dark humour that works and if you watch Pain and Gain with little in the way of expectations you’ll be amply rewarded. This isn’t great filmmaking – this is blockbuster cinema at its strongest. It’s self aware and it knows that it isn’t intelligent but it does what it does well. Don’t expect voracity from this movie though. This isn’t a true story. That’s how Marc Schiller feels about the movie. Whether or not it’s a cynical movie is up to you to decide. It’s funny, irreverent, and pretty dumb but it’s also pretty good. This is polished film making but it still comes across as a poor man’s Fargo. love the review, what would you give i tout of 10? Thanks for reading. I’d say 7/10. Definitely debatable. Completely agree with you on Michael Bay. I think that Pain & Gain is just one of those movies. A happy accident perhaps. Hahaha well put. Few could disagree with that.